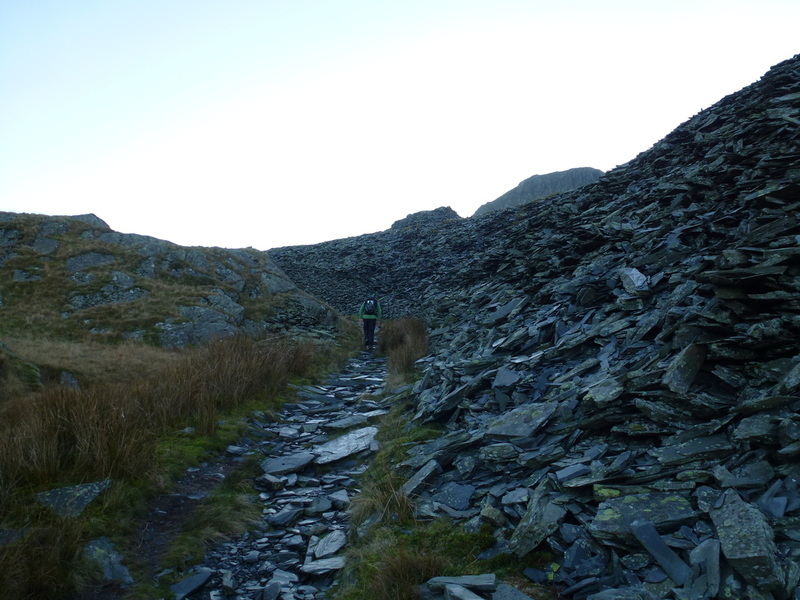 Good mountain paths although the terrain approaching Bwlch Cwm Lan is mostly slate underfoot and is hazardous when wet. 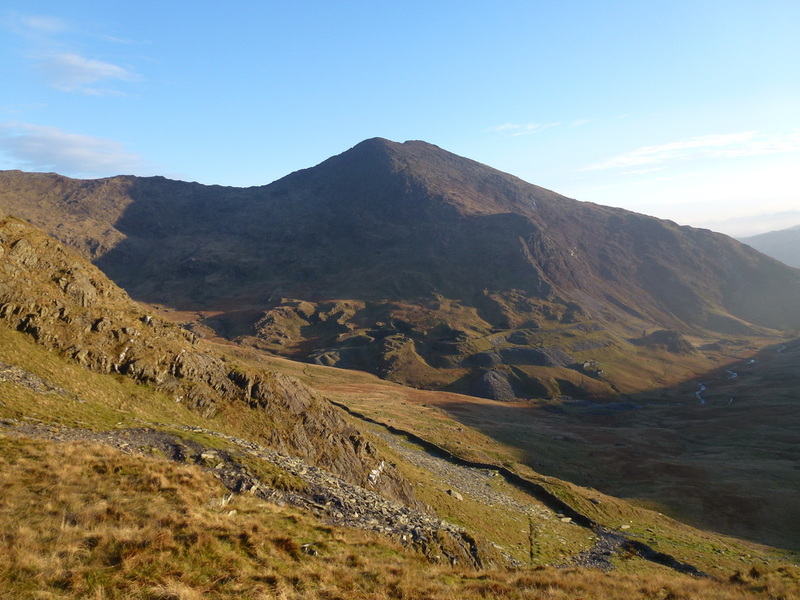 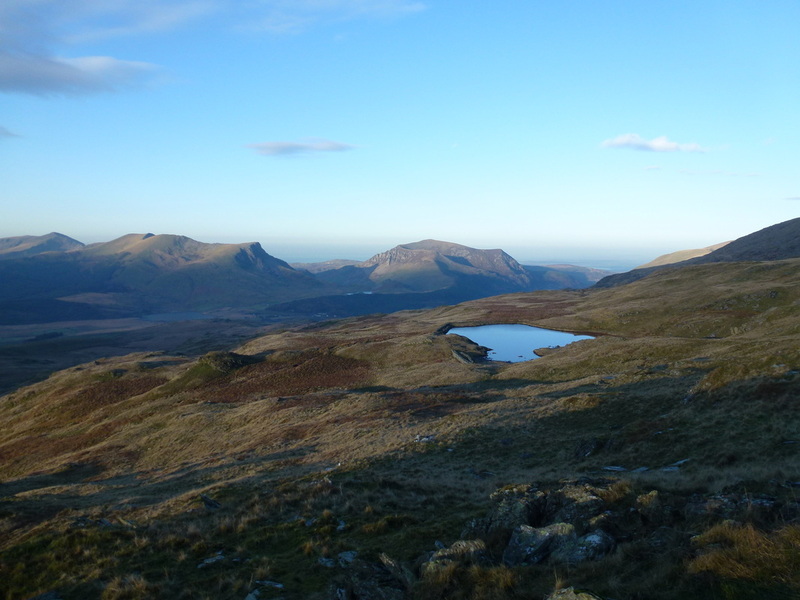 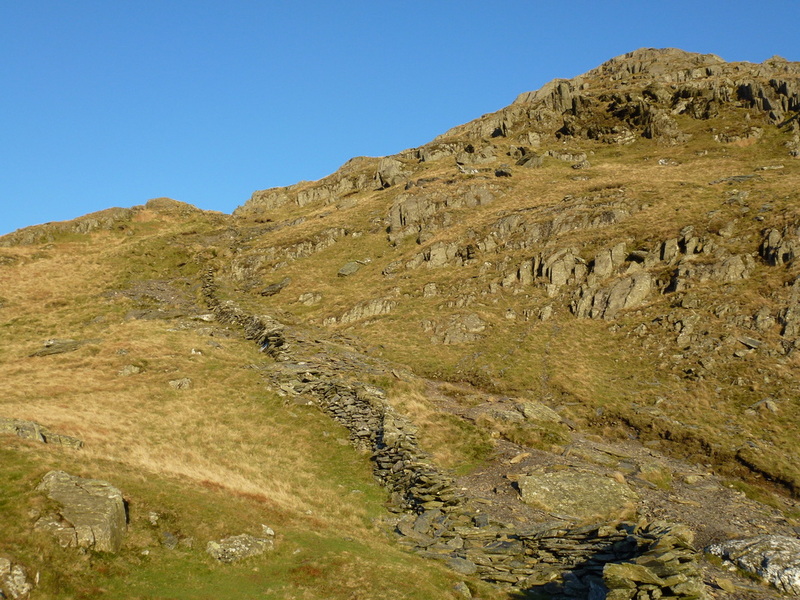 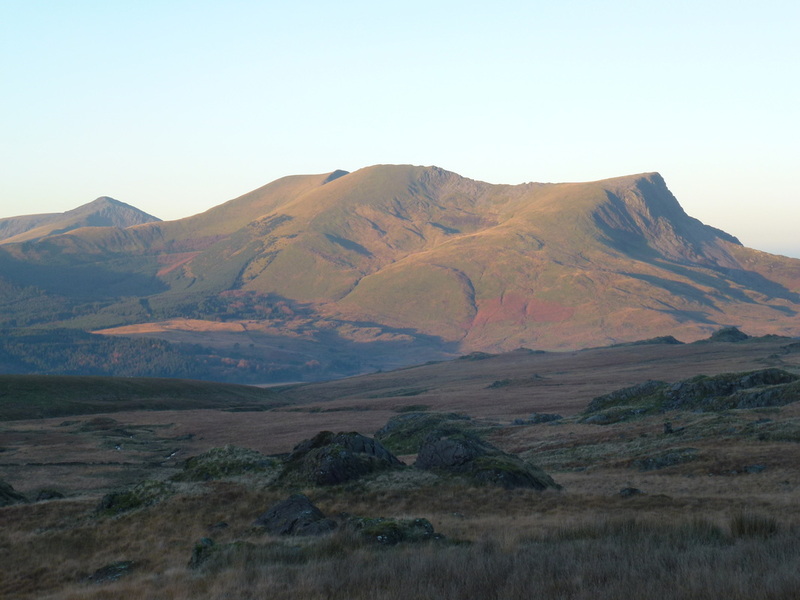 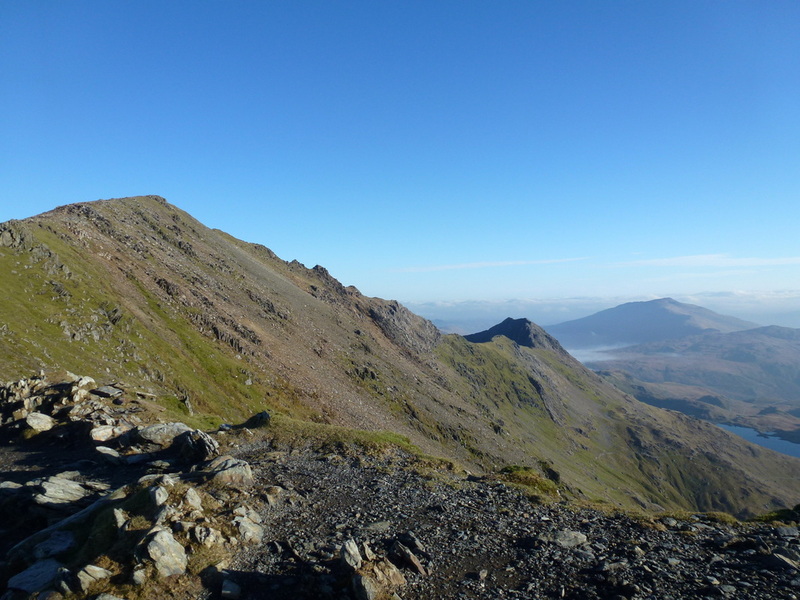 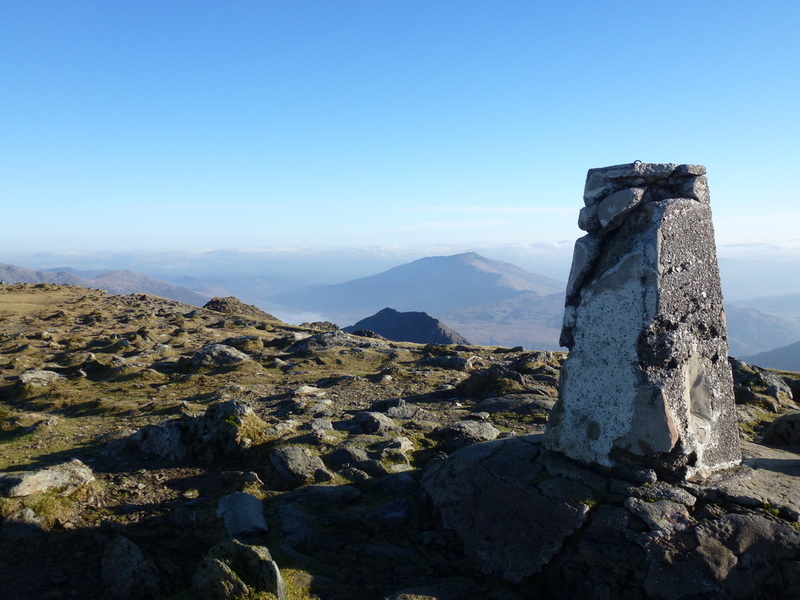 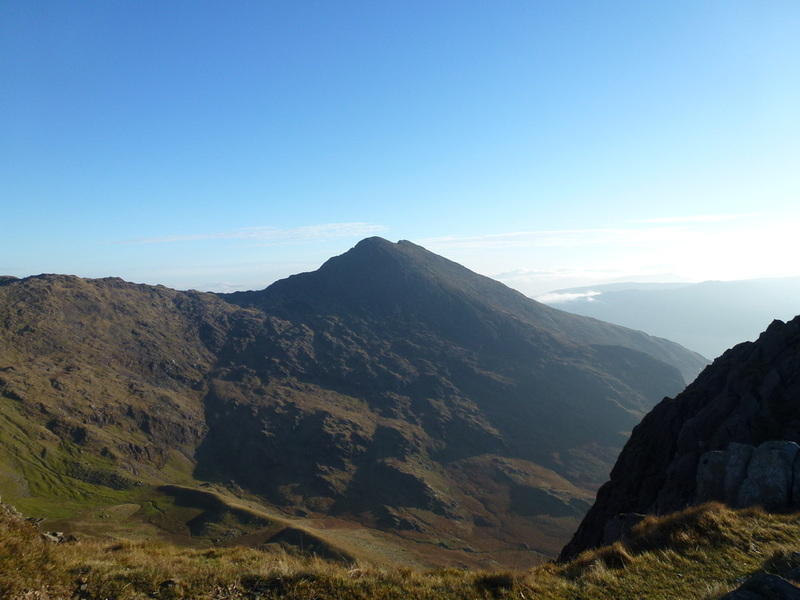 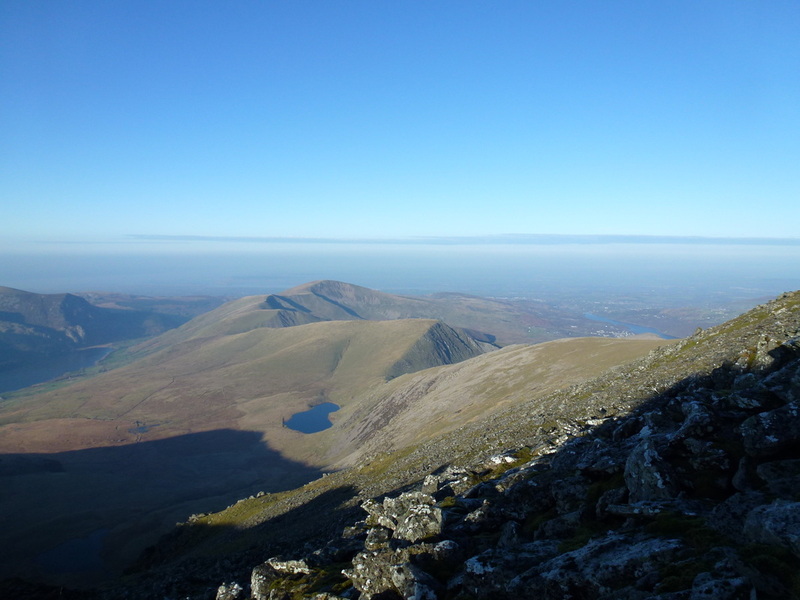 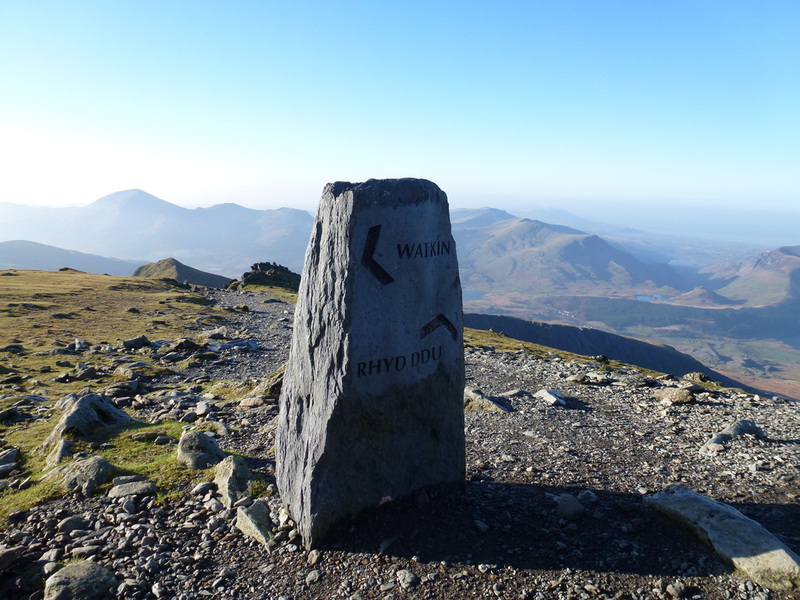 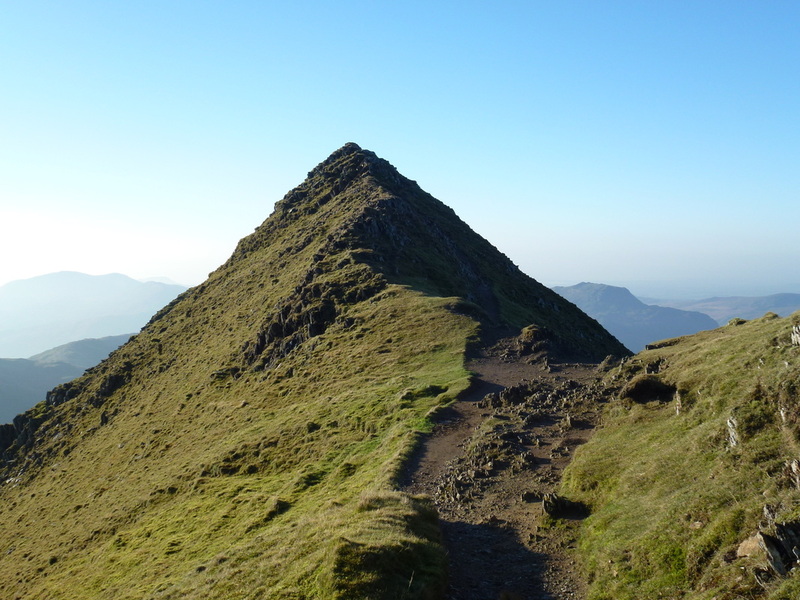 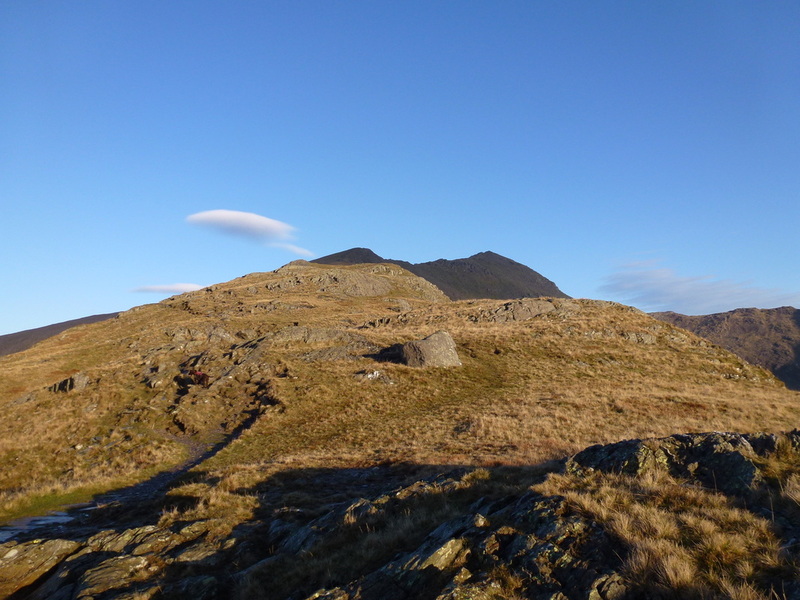 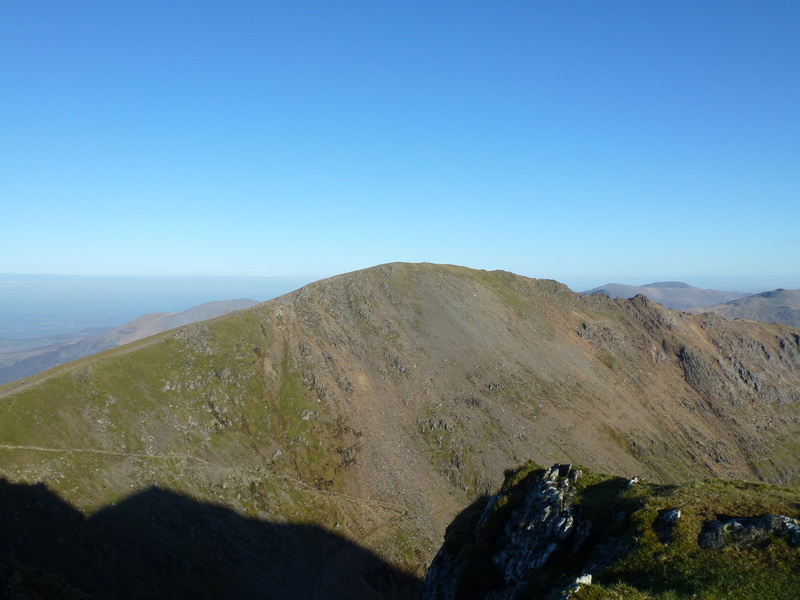 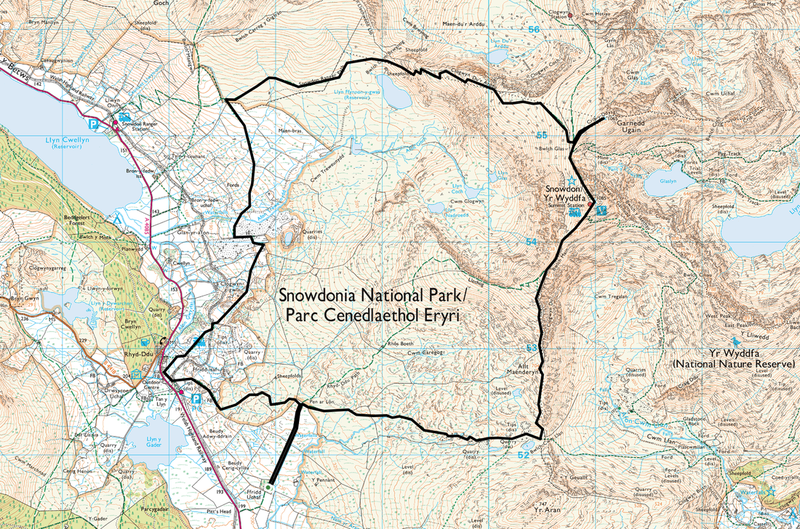 There is some easy scrambling required on the Allt Maenderyn ridge to the summit of Snowdon and the path to Rhyd Ddu from the Snowdon Ranger Path is boggy in places. 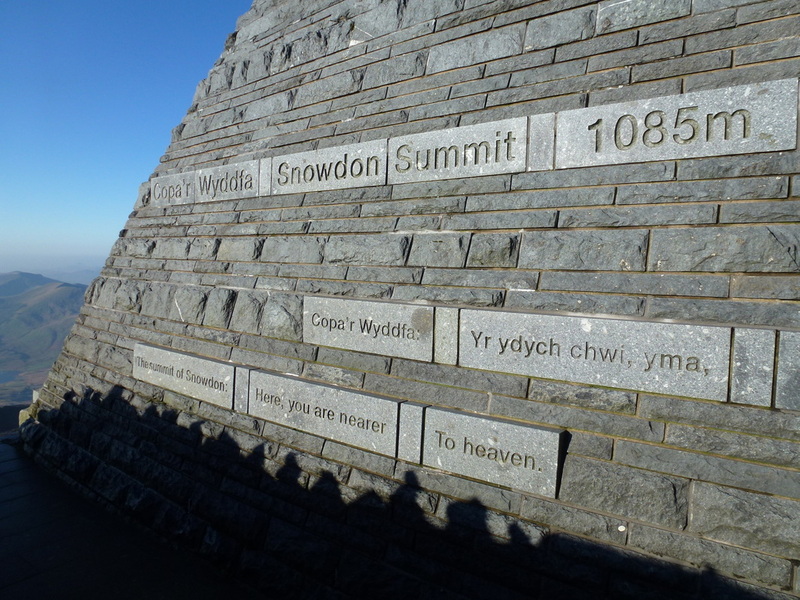 Having been up Snowdon many times before and each time in mist we were encouraged by today's weather forecast therefore decided to give it a go. 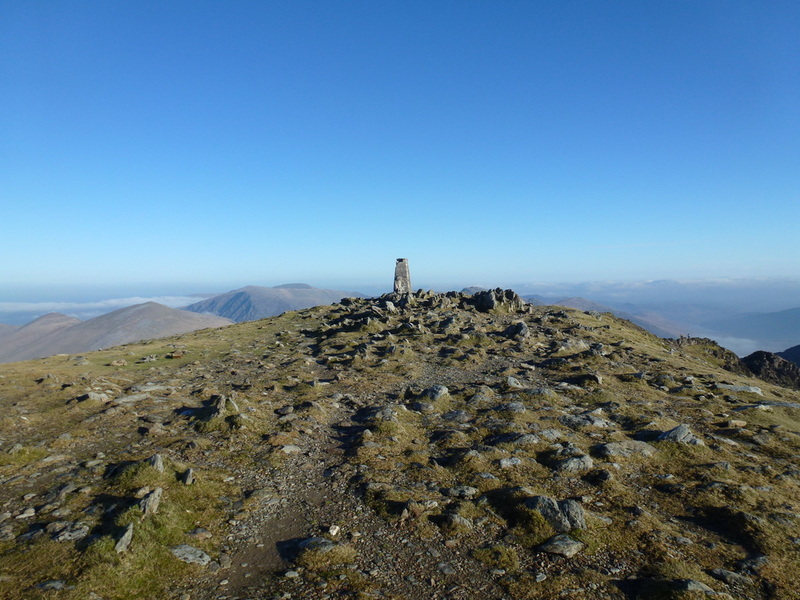 We chose an alternative route up via the less frequented Allt Maenderyn ridge and did not see a soul until the summit itself. 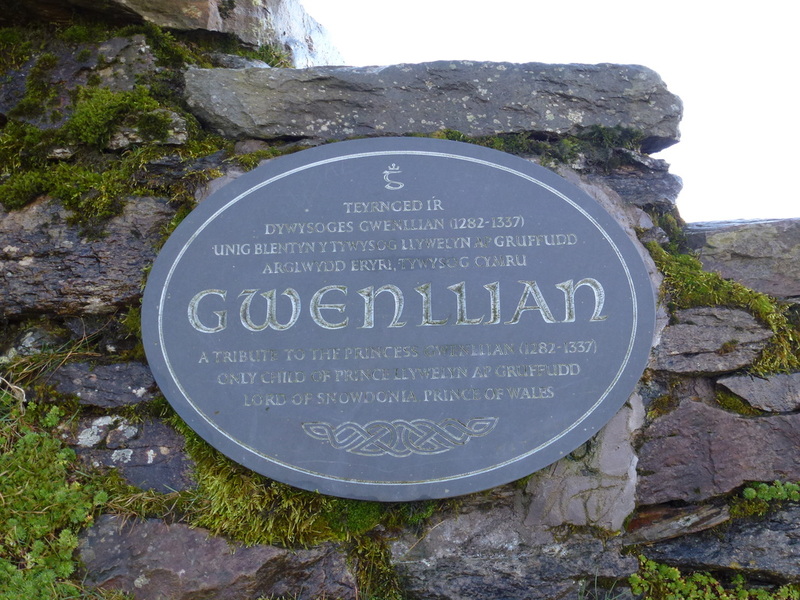 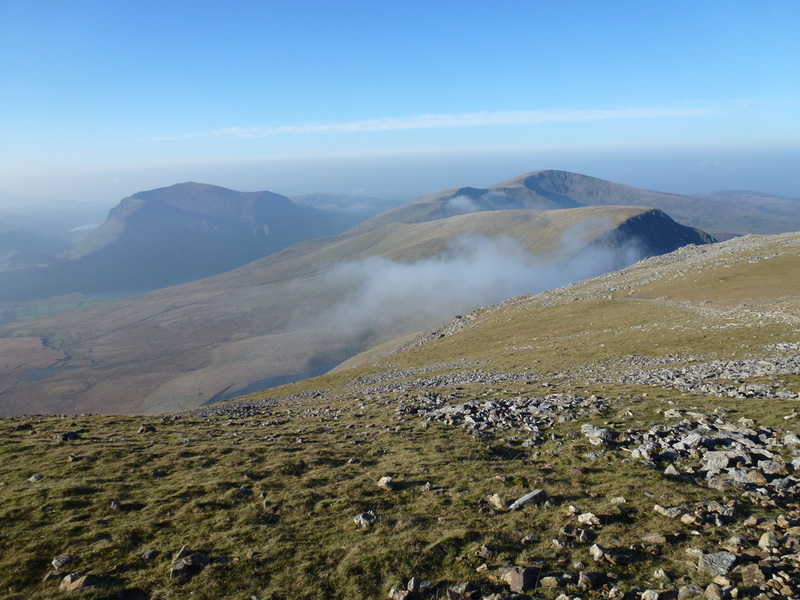 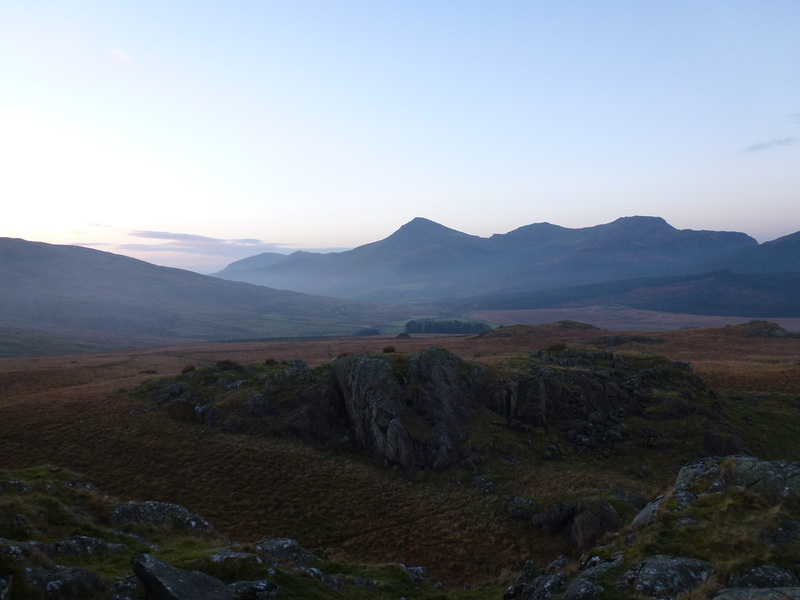 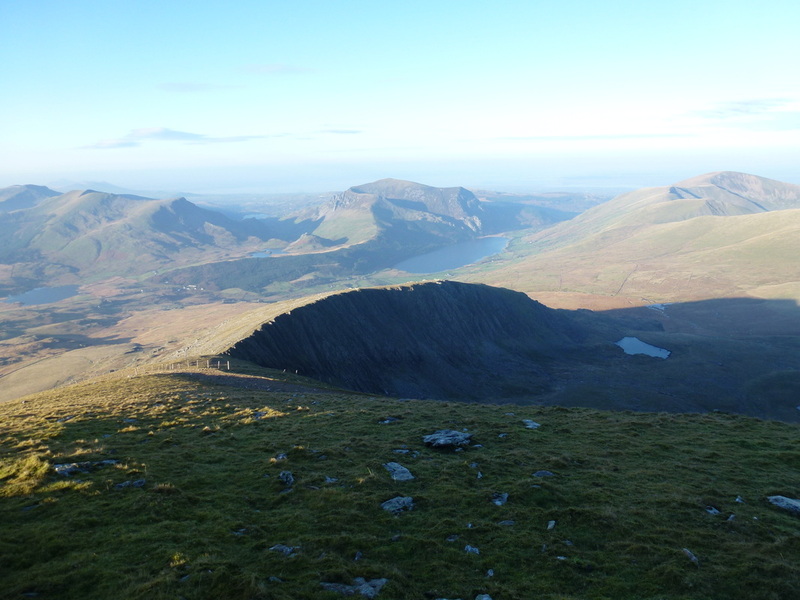 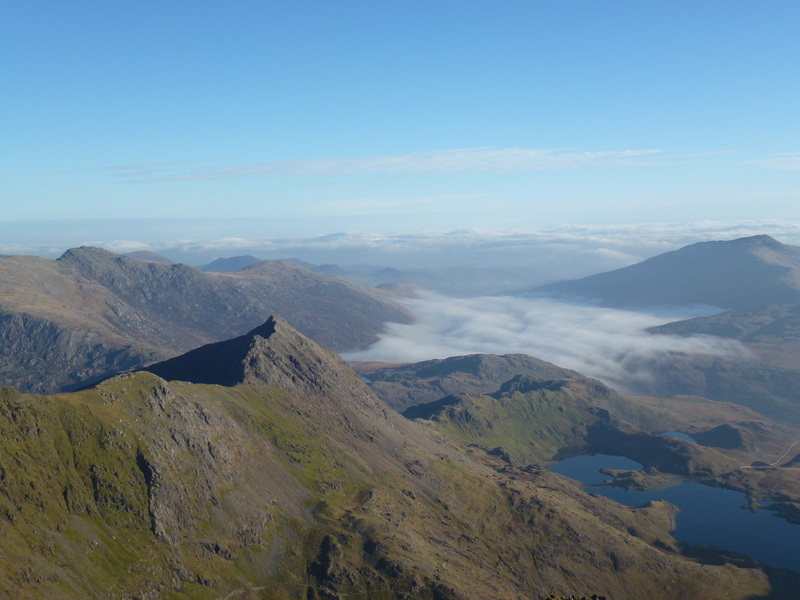 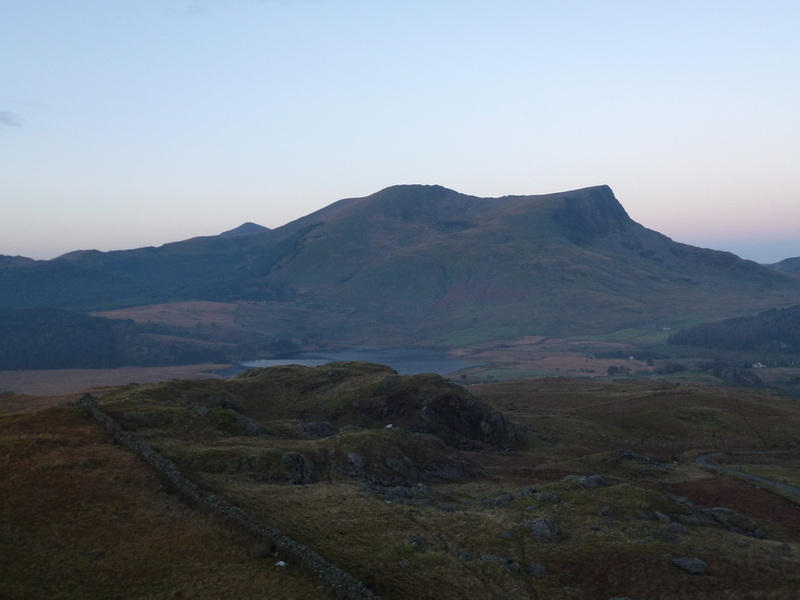 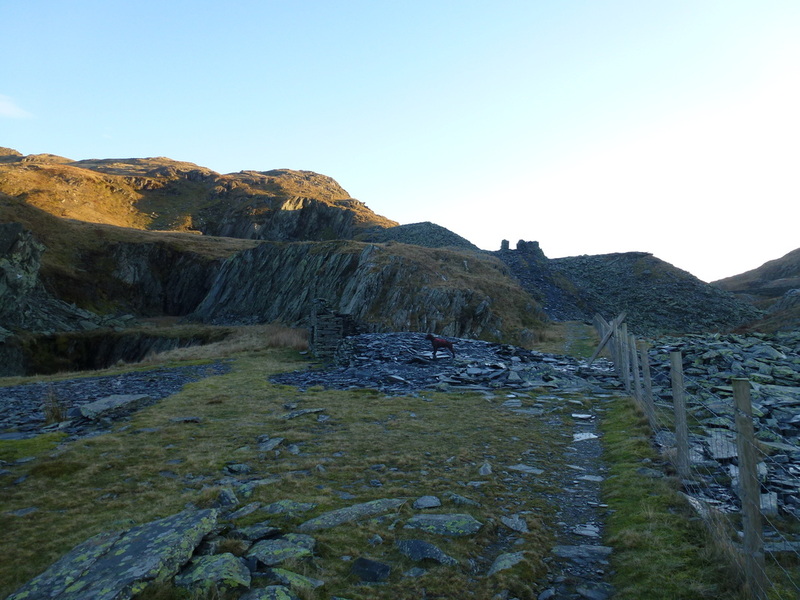 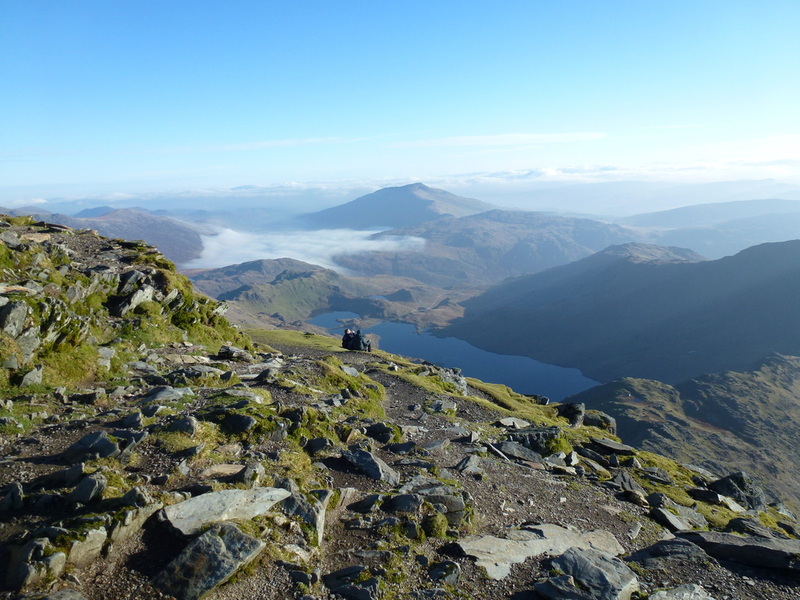 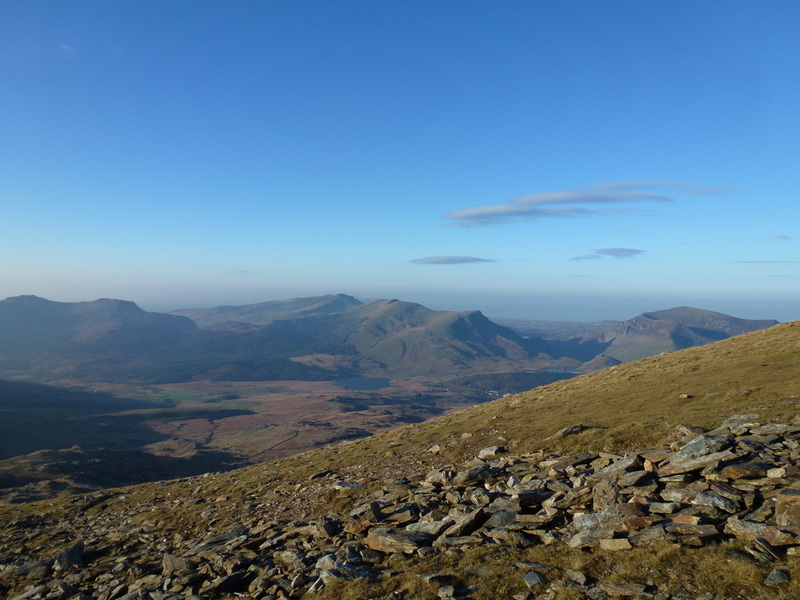 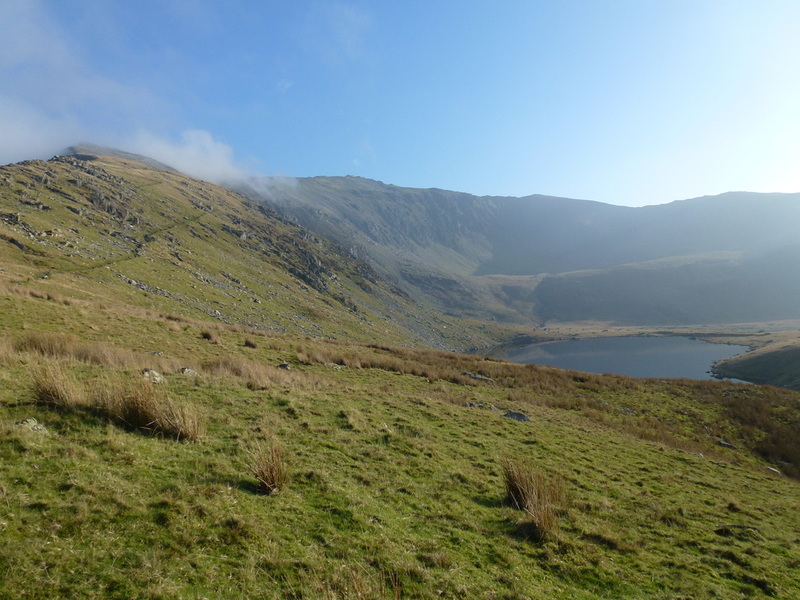 We originally intended to use the Rhyd Ddu path back but the visibility and weather were so good we decided to stay out a bit longer therefore came back down the Snowdon Ranger path instead. 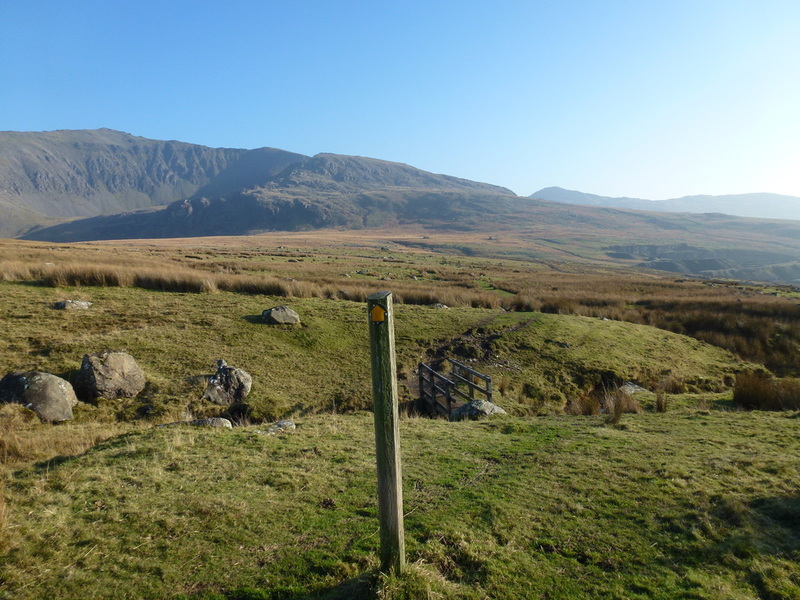 We were staying on the farm at Ffridd Uchaf therefore could walk from the door today, however the walk can just as easily be started from Rhyd Ddu. 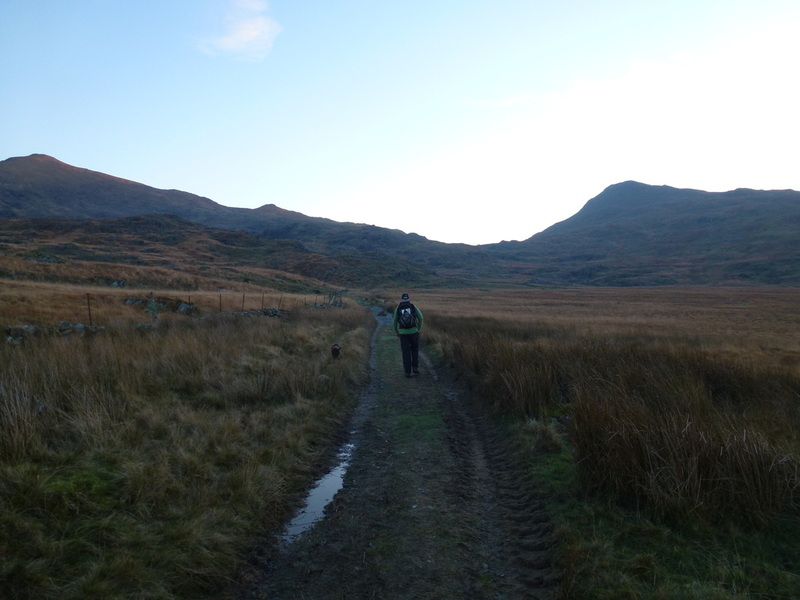 Reaching the Rhyd Ddu path we turned right away from this and headed along the good track towards Bwlch Cwm Lan. 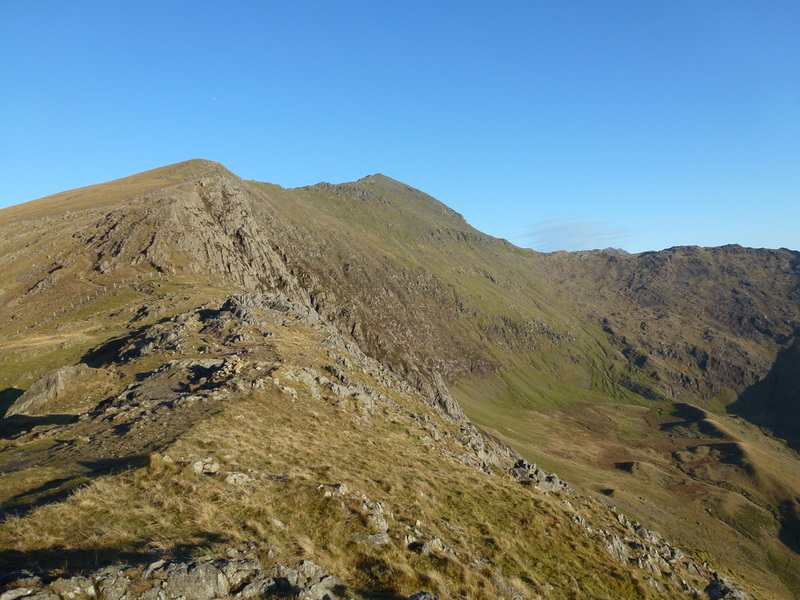 On reaching the col there are superb views down into Cwm Llan where the Watkin Path can clearly be seen snaking its way up towards Snowdon. 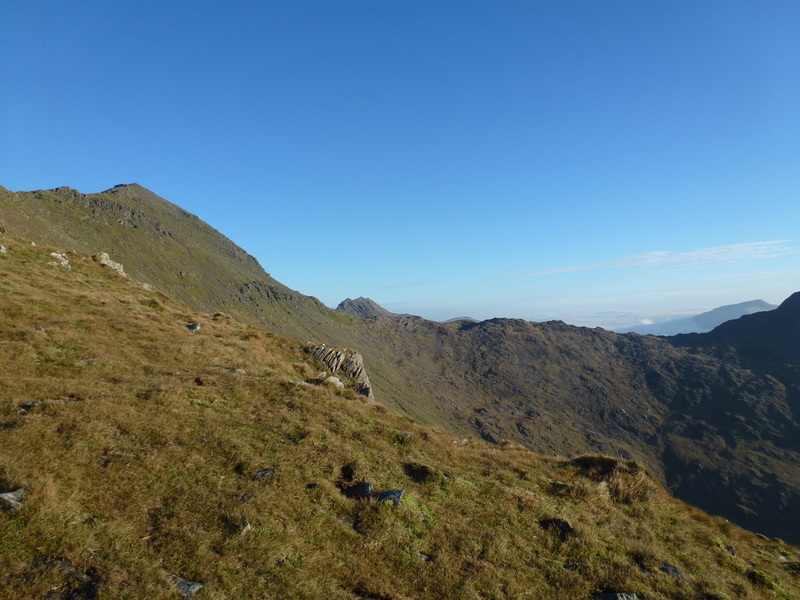 To lengthen the walk the summit of Yr Aran is but a 30-minute steep slog however we had enough to do and therefore left that one for another day. 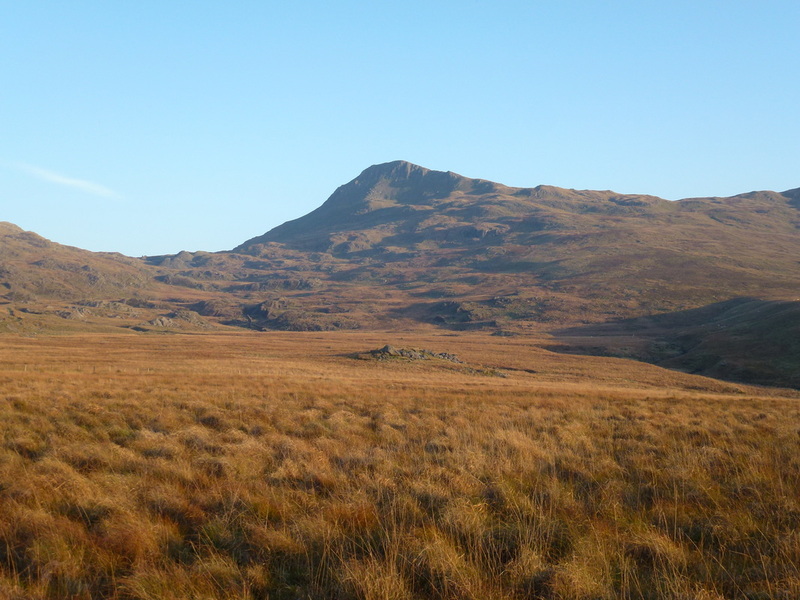 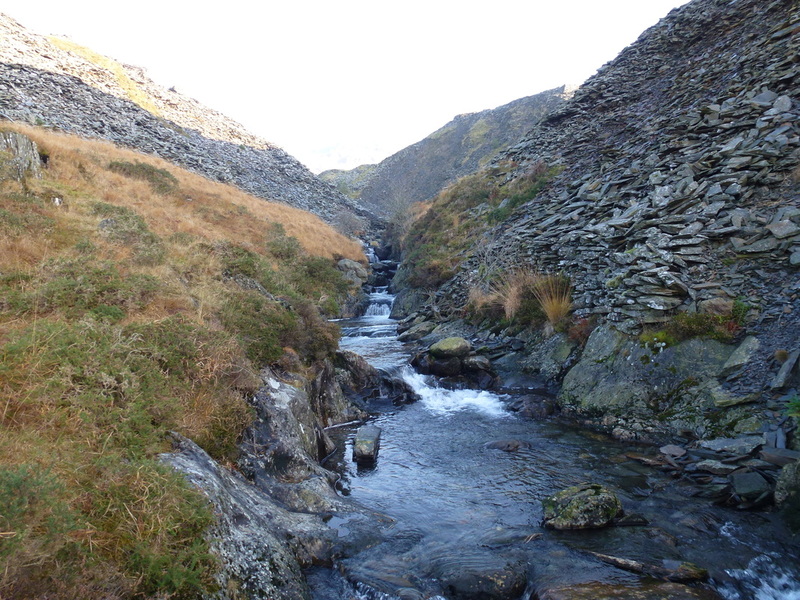 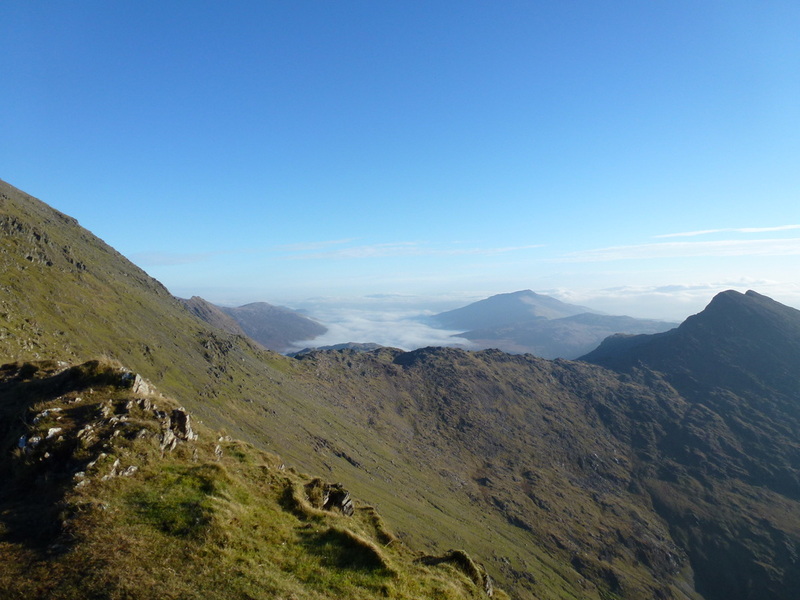 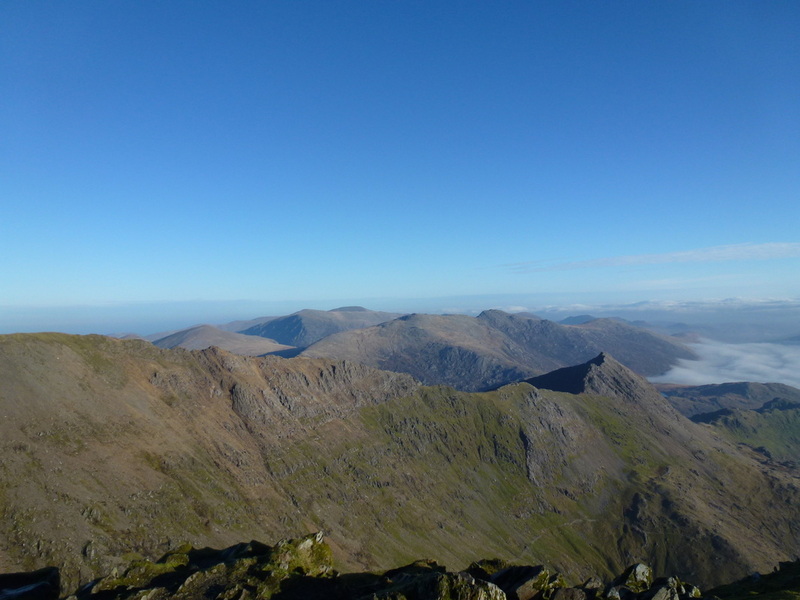 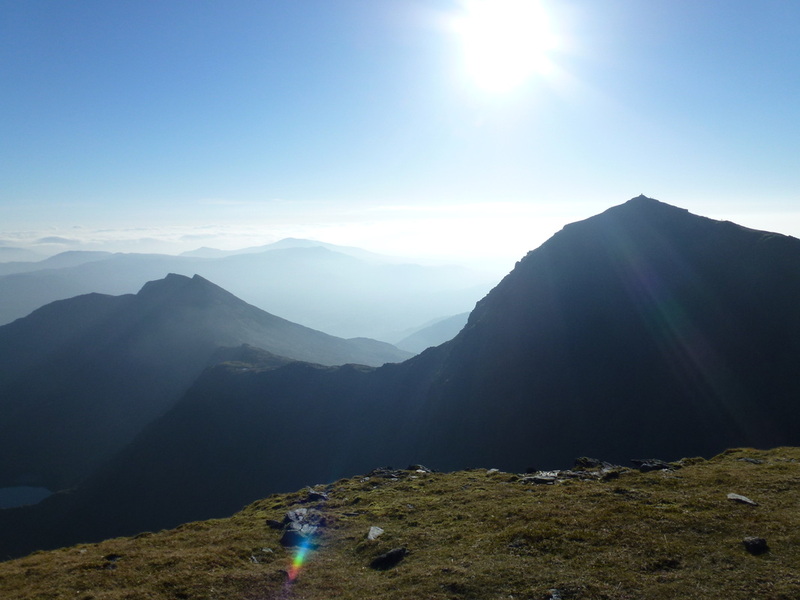 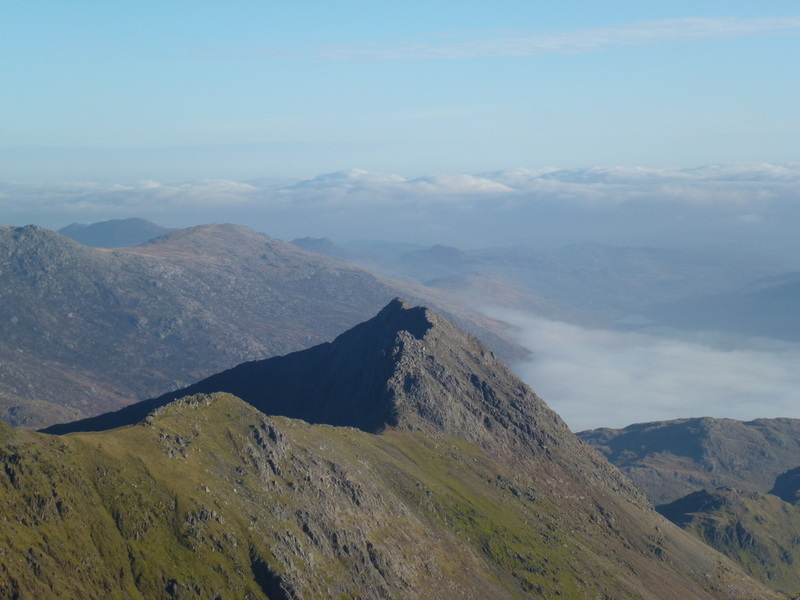 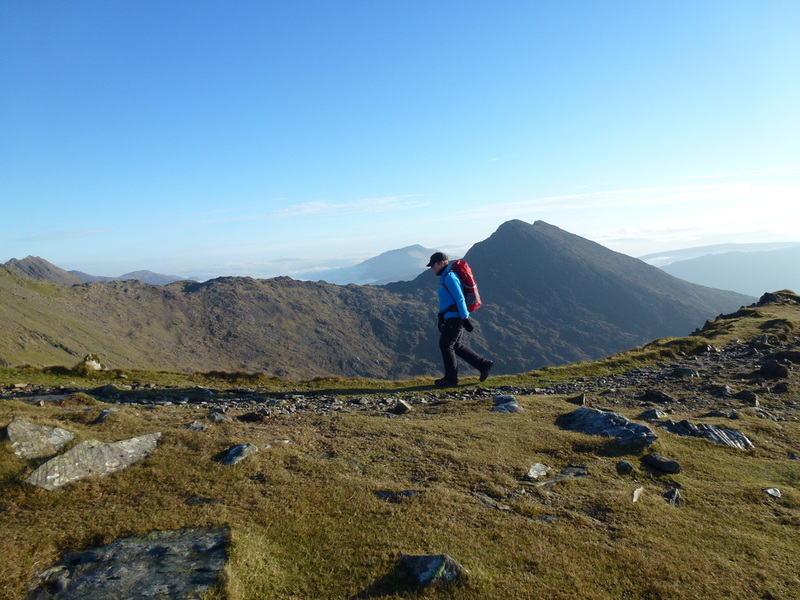 The Allt Maenderyn is a pure ridge walkers delight and stretches away in front of you providing some gentle up and downs and easy scrambling - both left, right, front & back are magnificent views over the surrounding mountains with Y Lliwedd particularly prominent. 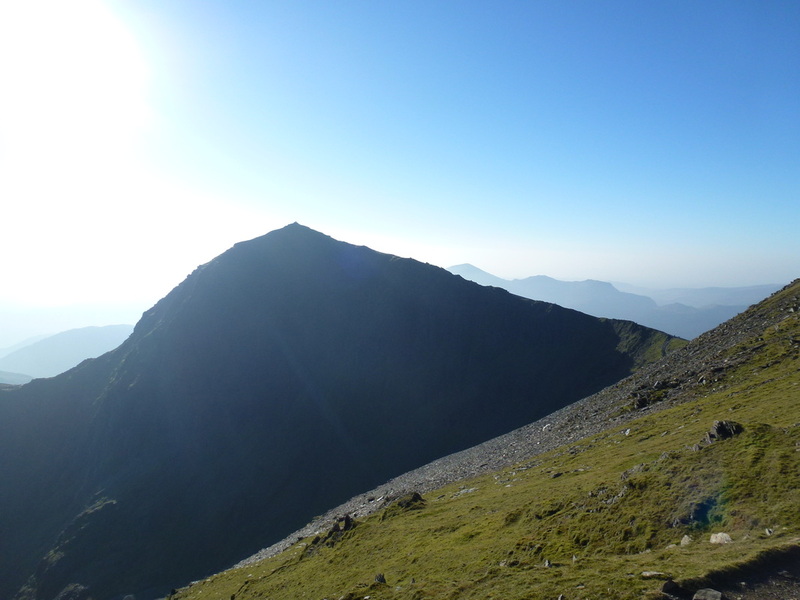 It is worth taking your time over as all too suddenly the hustle and bustle of Snowdon's summit is upon you. 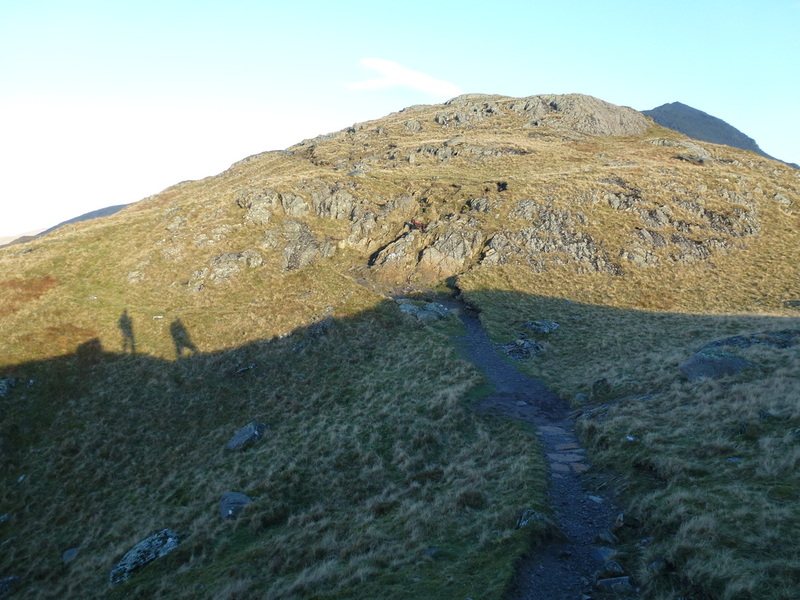 We were up on the summit at about 1000 and thankfully there were only a handful of people about although looking down to the various paths the ants were on the march! 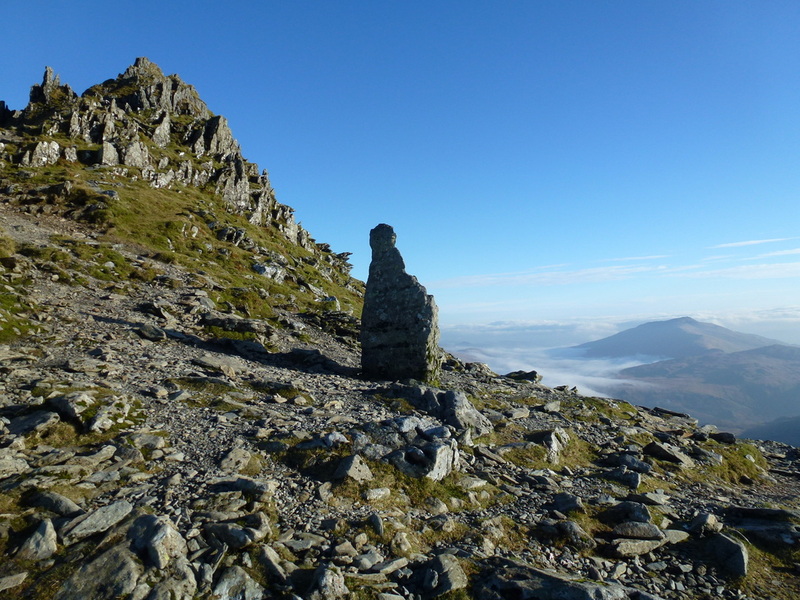 Leaving the summit, we headed down to the path junction where the Snowdon Ranger path meets the one coming up from the Pyg Track and decided to head up to the summit of Garnedd Ugain. 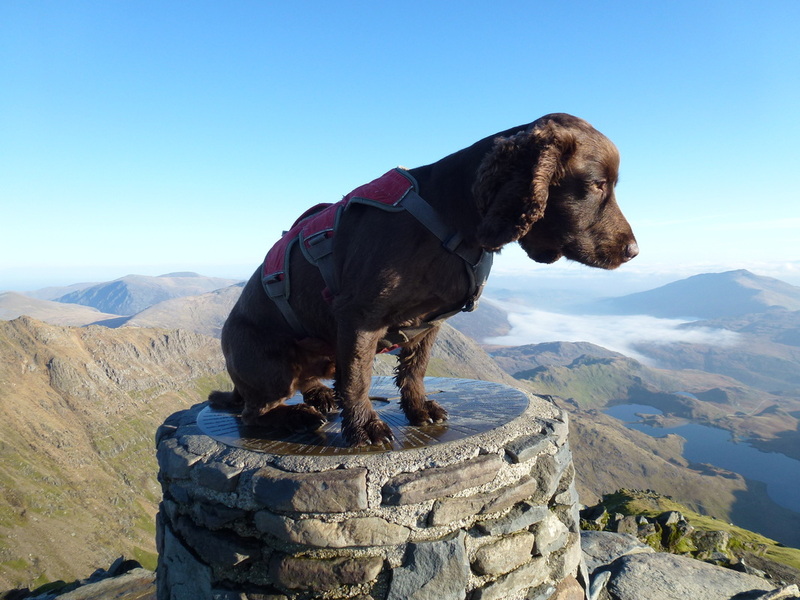 Reaching the Trig Point there is a fantastic view down Crib Goch and over to The Glyders and tempted as we were to make the transit over the arête, Crib Goch is no place for a bonkers dog. 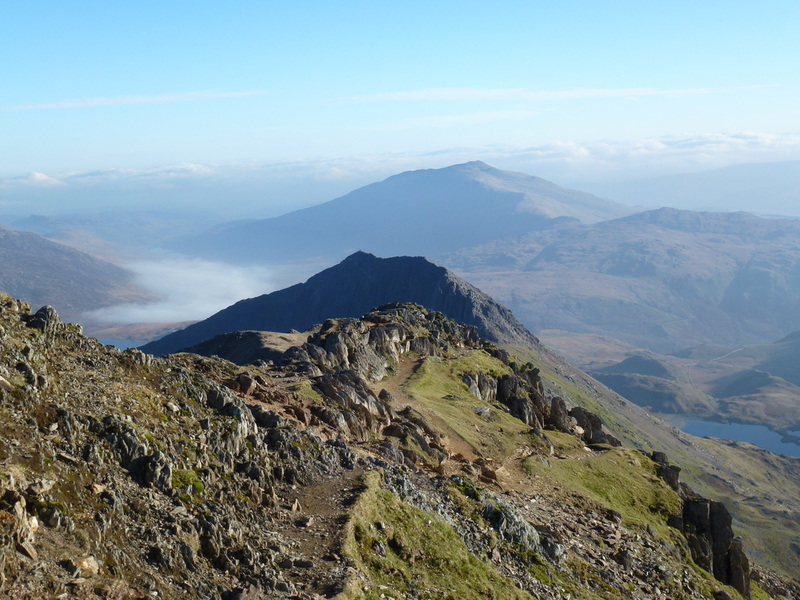 Retracing our steps back to the start of the Snowdon Ranger path we started our descent off the mountain and were passed by lots of happy hikers on their way up. 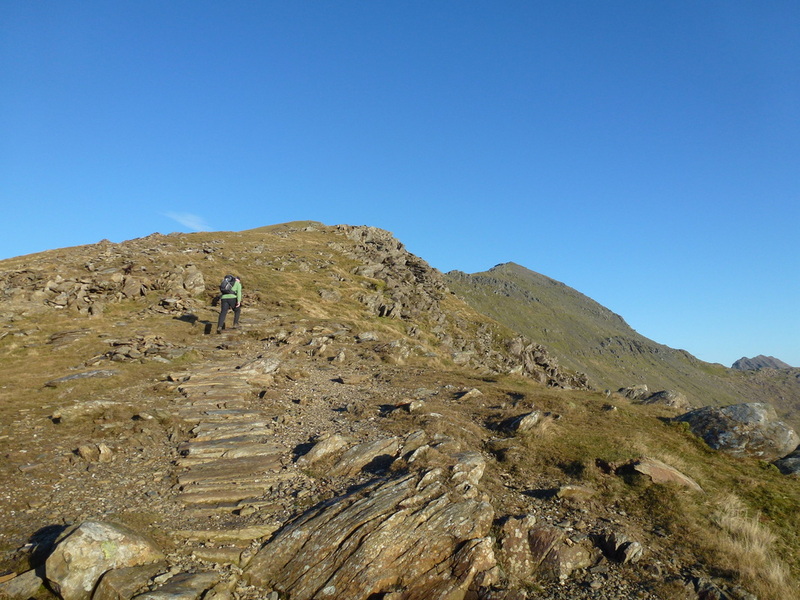 The path down is very good and we were soon leaving it to head left over a sometimes boggy but well way marked path back to Rhyd Ddu. 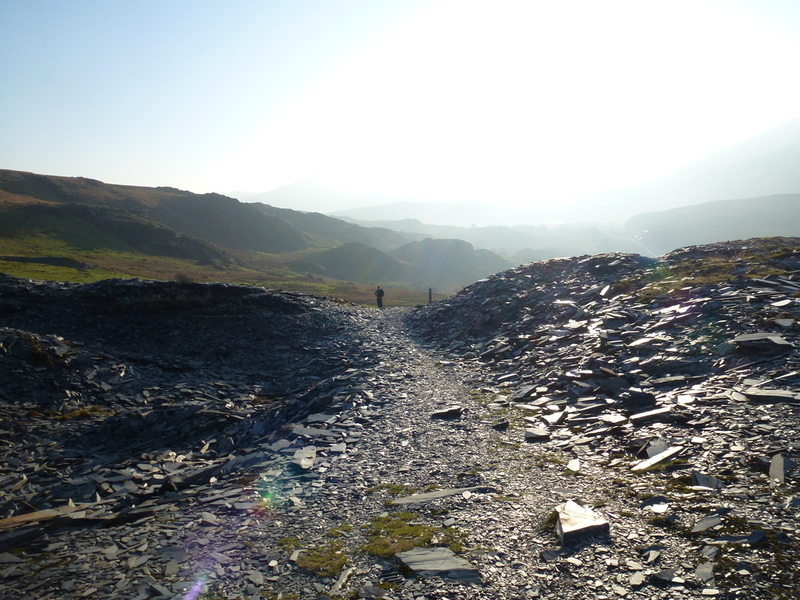 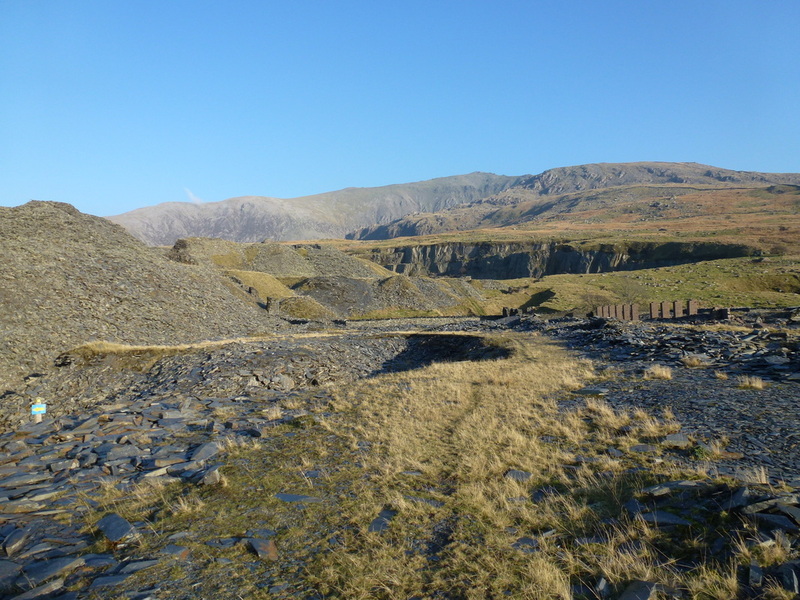 The path passes the Slate Quarry near the Afon Treweunydd before making its way to Rhyd Ddu. 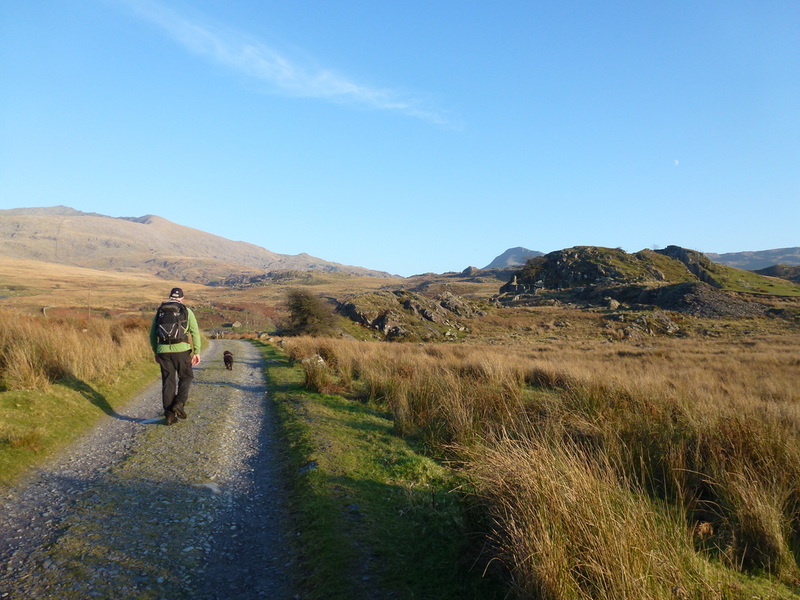 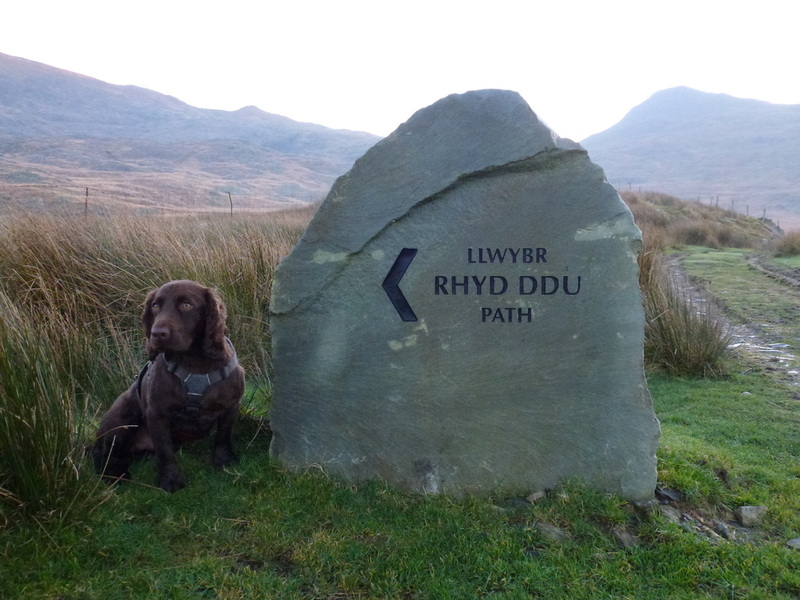 We simply then made the uphill trek along the early part of the Rhyd Ddu path back to Ffridd Uchaf. 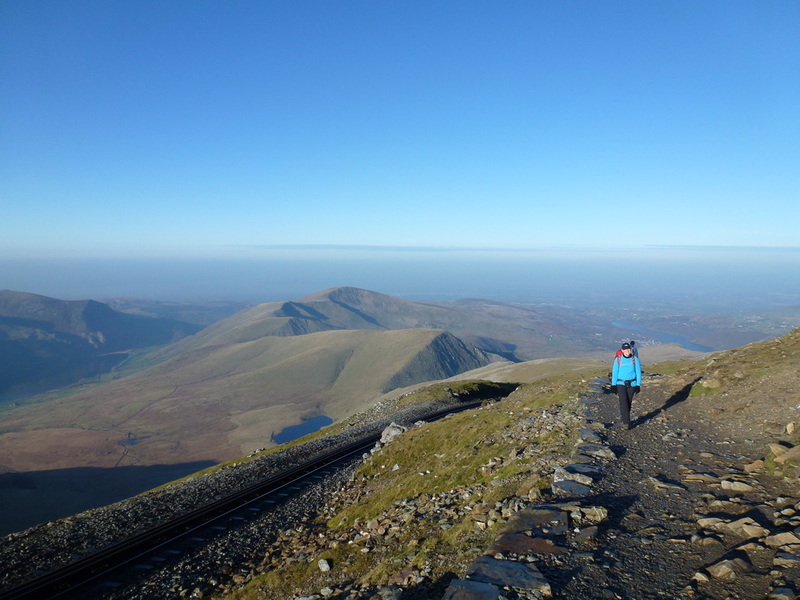 A great day out on a superb route - in our opinion this is a fantastic way to climb Snowdon, only seeing the crowds on the way down.